Sortie le 4 décembre au Japon. Je suis super fan ! Y a eu tout de même un certain nombre de couvertures avec tous les membres d'équipage réunis, et Oda parvient toujours à varier les compositions. Celle-ci figure déjà dans mes favorites. Galette has Bata Bata no Mi (butter butter no Mi). She is a Butter Human. Morley has the Oshi Oshi no Mi and built the area in Impel Doen that would later become Newkama Land. He/she is currently 160 years old and was once imprisoned in Impel Down 100 years ago as a pirate. "Its four sword style Zoro...!!" "Its five sword style Zoro...!!" "This wound from a sword on my back hurts!" "I gave dogeza, so give me some money." 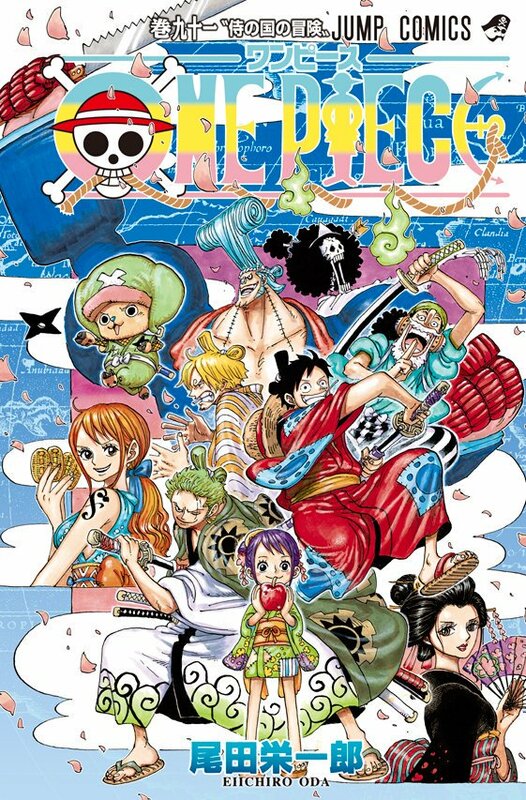 Oda confirms Morley to be the person who dug up the New Okama Paradise in Impel Down (Lv 5.5). Morley's DF power can push and break various types of stuff. It is possible for him/her to push the earth and dig up a hole underground. Morley is 160 y.o. this year. More than 100 years ago, when he/she was a violent pirate, Morley got arrested and dug up that space in Impel Down. He/she escaped the prison without other people ever knowing, but got involved in some event. Actually he joined the Revolutionary Army only recently. Morley and Ivan-san get along quite well, but Ivan-san was sent to Impel Down. Although Ivan-san turned the hole Morley dug into the New Okama Paradise, he/she doesn't know that the hole-digging DF user was Morley. C'est marrant j’étais persuader que Oda dessinait tout à la main.